Summary: A paper published today examines the angles at which particles are emitted in a rare decay and finds signs of a discrepancy with the Standard Model. A possible explanation by new physics has been suggested. 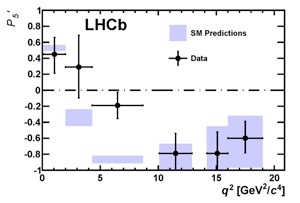 The black data points from the LHCb measurements are compared with the Standard Model prediction shown by the blue bands. The third data point from the left is very different from the Standard Model prediction. Tantalizing hints of phenomena that may not be described by the present theory of particle physics emerge from the LHCb experiment at CERN’s Large Hadron Collider. Our current knowledge of fundamental particles and their interactions is embedded in the so-called Standard Model, which has been shown to be in excellent agreement with essentially all previous measurements of sub-atomic particles. However, the Standard Model has some serious shortcomings: it does not include gravity, nor can it explain the nature of the 95% of the Universe that is thought to be in the form of Dark Matter and Dark Energy. 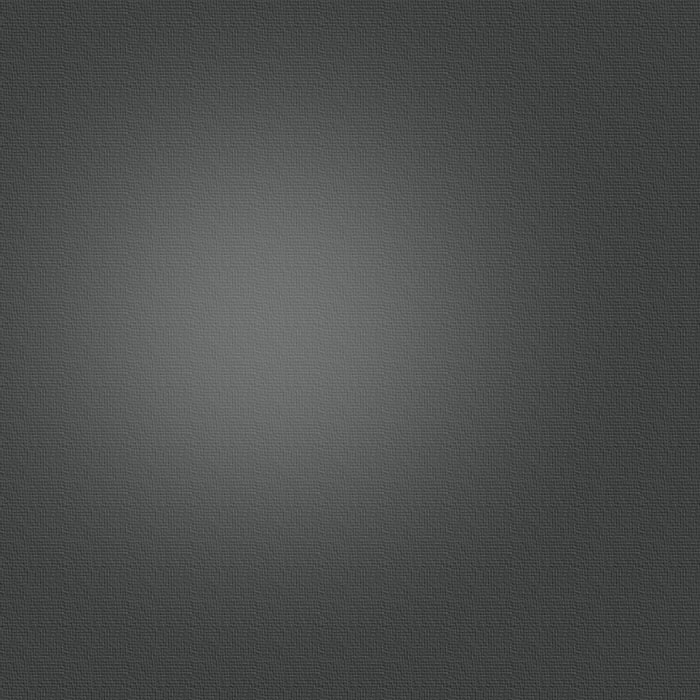 New particles are therefore thought to exist to explain these and other problems of the model. While measurements at the LHC have discovered the Higgs Boson that was predicted by the Standard Model, no other new particles have yet been found. The new LHCb results are stimulating theoretical work which makes a global analysis of the latest LHCb data and the previous measurements. One such analysis (http://arxiv.org/abs/1307.5683) of the LHCb results suggests that the deviation in P5' and small discrepancies in other measurements for the B0→K*0μ+μ- decay follow a pattern that seen might happen by chance with odds of only around one in 4,500. This would make the results significant enough for scientists to claim evidence for something new. The same analysis claims that all the measurements can be explained with a single, simple mechanism involving a new particle. More information can be found in the LHCb paper here (http://lhcb.web.cern.ch/lhcb/Physics-Results/LHCb2013_SummerResults.html).